Experience convenient and cost-efficient travels across Europe with the Eurail Global Pass (Consecutive), offering unlimited train rides in 31 different European countries - including France, Germany, Italy, and Switzerland! Simply make a booking by selecting your departure date to Europe, preferred Rail Pass, and validity period, depending on what suits your travel needs best. You'll enjoy free delivery of your Eurail Pass, directly to your doorstep, as well as a wide range of other benefits all over Europe, such as further discounts on ferry and boat rides, museum tickets, and so much more! 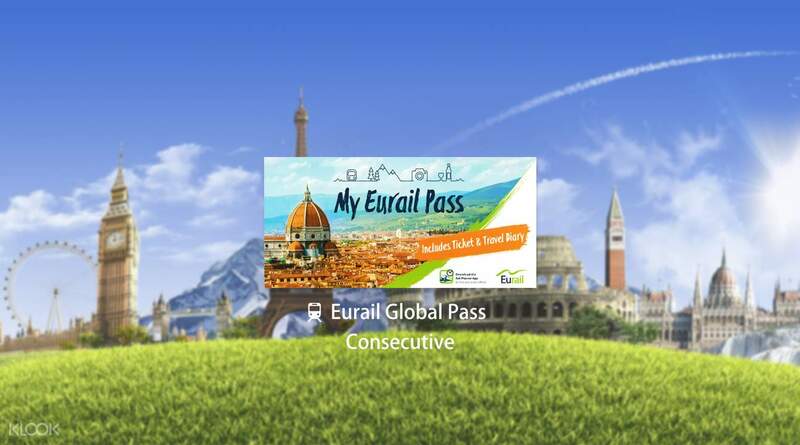 Travel all over Europe without any hassles by booking the Eurail Global Pass (Consecutive)! Customer service very responsive. Fast & free delivery to my doorstep within a week. Very easy to used and we dont have any issues just show the pass to train conductor. Very satisfied. Customer service very responsive. Fast & free delivery to my doorstep within a week. Very easy to used and we dont have any issues just show the pass to train conductor. Very satisfied. Very easy simple to use and definitely worth the price for 2 months worth of travel in europe. Very easy simple to use and definitely worth the price for 2 months worth of travel in europe. Easily booking with fast delivery. Eurail pass is worthy if u travel frequent with train or cruise. Easily booking with fast delivery. Eurail pass is worthy if u travel frequent with train or cruise.